We’re really proud to show you this project which introduced the use of realtime technologies in SOA Studio. The results that we can show now give us the certainty that what we did put us in the right direction; we think that Unreal Engine will become an essential tool for producing contents to be enjoyed in VR with HTC Vive or Oculus Rift. Our know-how on the matter has been developed in 1 year and a half of hard work and we’re confident that the Architectural Firms, Design Departments, Developers and Investors will benefit from this technology to make their decisions quicker and immerse themselves in a real digital world. For this project we used the latest real-time technologies. We created shaders thanks to Substance Designer and the vegetation thanks to Quixel Megascans. Another important aspect was determined by the interactivity with the surrounding environment: an aspect that is essential for anyone who is willing to make the VR experience even more immersive. We are sure that this adventure is just at its beginning. 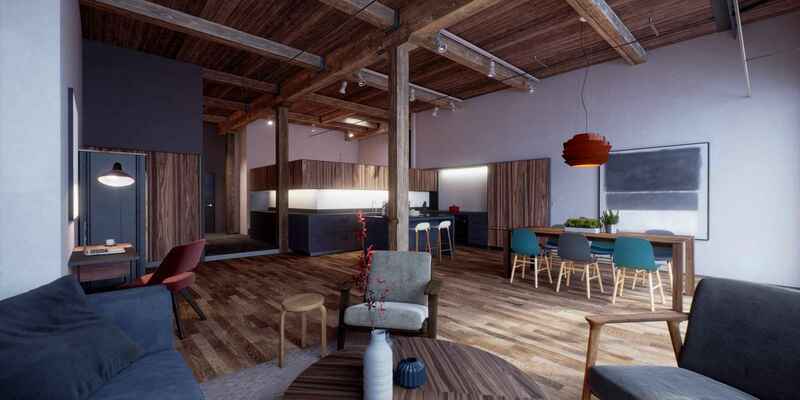 The development of Unreal Engine combined with the use of additional plugins will lead to a higher creation of real-time contents for architecture and design, which will also give a new standard to follow in our industry. A new era is here and at SOA Studio we are ready to take up the challenge to guide our Clients towards a new way of understanding the future. If you would like to know how VR can improve your vision, just contact us. < New State of Art website is online!